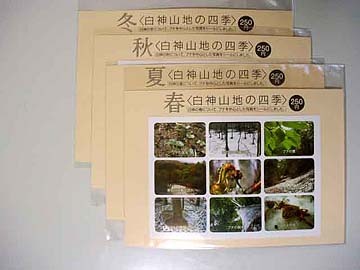 This guide is to be used for anyone wishing to visit the Shirakami Mountains, a World Natural Heritage Site. The Shirakami Mountains were designated as a World Natural Heritage in 1993, along with Yakushima Island (1993) situated in the southernmost prefecture of Kagoshima and Shiretoko Peninsula (2004) in the northernmost prefecture of Hokkaido. The Shirakami Mountains can be reached from Tokyo by air (90 minutes to Aomori Airport) and by the Shinkansen Bullet Train (6 hours to Aomori Railroad Station). Shirakami’s beautiful natural environments should be a treasure spot for any nature-bound tourist. The Shirakami is a mountainous area of 130,000 hectares, covering parts of Aomori and Akita Prefectures. Within this area are 16.971 hectares of virgin forests of Japanese beech―12,627 hectares in Aomori Prefecture and 4,344 hectares in Akita Prefecture―which were registered as a UNESCO World Heritage in 1993. 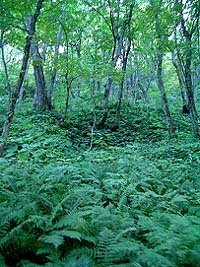 The Shirakami beech forests, inhabited by a large variety of animals and plants, are one of the largest of this kind in the world. The beech forests present an ecological haven for more than 500 different kinds of plants and a variety of animals, including black bears, monkeys and golden eagles. The ecosystem of the forests not only sustains the life of these animals but serves as a water reservoir, preventing soil erosion. This Aomori version should serve as a guide for anyone wishing to appreciate the beauty of the Shirakami Mountains. The following tours start either at JR Aomori Station or Aomori Airport. The Shirakami Nature School, Hitotsumori will provide an English-speaking tour guide for any tour. Each tour must consist of four or more persons. Average cost for each person is \1,000. If necessary, there will be an additional charge for transportation or lodging. Each tour will be arranged to suit the demands of individual tourists. Please feel free to ask for details. Choose a route from the following seven in three different areas. Nishimeya is close to Hirosaki City. 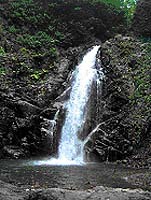 Anmon Falls are a famous tourist spot. Time in parentheses indicates walking distances. 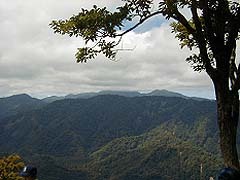 campaign to make the Shirakami Moutains a World Natural Heritage. 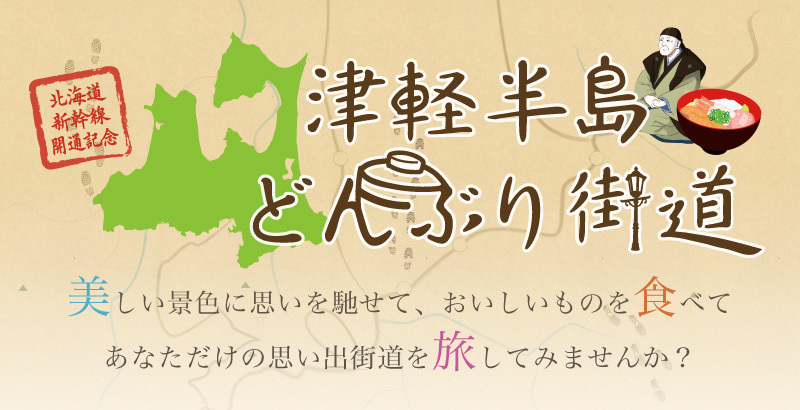 Traditionally, Hirosaki City serves as an economic, political and cultural center in the Tsugaru Region. Roads are radiating outward from the heart of the city. Tsugaru is also the nation’s top apple-producing center. Apple shipments have to pass busy city streets in the city, causing traffic congestion. Many people felt the need to build a bypass to connect these roads to a main artery. Work began in 1971 to construct a bypass road to give the apple-producing communities in Hirosaki better access to Route 7. It was completed in 1978. People call the 22-kilometer paved road “Apple Road” for a good reason. Apple blossoms in springtime and ripened apples in the autumn are a beautiful sight for any visitor in the area. This is a public facility operated by the Aomori Prefecture. Visit here before you step into the beech trees. At Image Experience Hall (15 m by 20 m screen), Actor Takuya Fujioka appears in an ecological program on the screen. At Display Hall, a replica of a beech tree hangs from the ceiling. Other displays will give you an overview of the beech tree. The Visitor Center has a small library at one corner of the floor, where visitors can browse through some Shirakami-related references as well as have a moment of relaxation. In the front yard of the Shirakami Visitor Center, some beech and other tall trees and underbrush, together with a small waterway and pedestrians’ paths, are provided so that visitors can sample the beauty of the Shirakami beech forests. 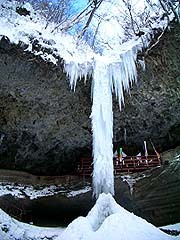 The 33-meter Niogataki Falls are so called because, when frozen in the winter, the falls look like a hay stack (Nio). The legend says that there will be a rich harvest if the falls freeze in winter. People can tell, by the shape or size of the frozen falls, whether the crop will be good or bad. The “Ice Festival” is now a village event, featuring Shinto-style fortune telling and a musical band performance. A path is built along these falls for an hour long walk. 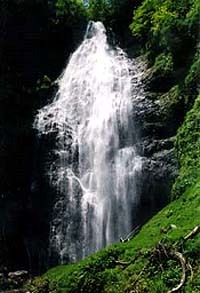 There are three falls at different levels, the one most upstream (42 meters), second (37 meters) and third (26 meters). A left turn, before you enter the Anmon Path, will lead you to an hour’s walk in a beech forest. The “Shirakami Line” is a 90-km mostly unpaved forest path cutting through the Shirakami Mountains. It’s officially known as the Iwasaki-Nishimeya-Hirosaki Line. Most of the route?about 60 kilometers?is unpaved, but it commands a spectacular view of the mountains. The tree is located about a 5-minutes’ walk from Tsugaru Pass, between Nishimeya Village and Ajigasawa Town. 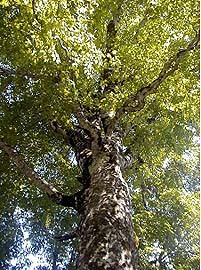 Oku-Akaishi Beech Woods has been designated as a “preserved genetic resource” in 1988. There has been no logging activity in this wood. A hour-long walk is provided to give a visitor a feel of forest. The Akaishi River, flowing from the Shirakami Mountains, and its torrents are a part of a prefectural nature park. 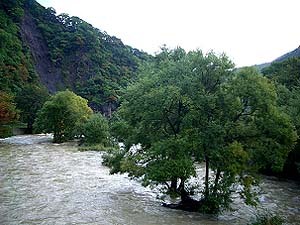 The torrents, with beech forests along the river, present beautiful seasonal changes. A visitor can catch various kinds of fish, such as chars (iwana), trouts (yamame) and sweetfish (ayu) during the fishing season between April and September. The river attracts many anglers when the ayu-fishing season begins on July 1. The ayu in the Akaishi River are called golden ayu because they are tinted with a golden color. A permit has to be purchased for fishing ayu (day permit \400, season permit \3,000). You may cycle along the path to enjoy many sightseeing spots along the river. 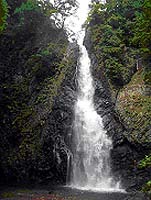 The Kurokuma Falls, 85 meters long and 15 meters wide, are one of the Japan’s Best 100 Falls. 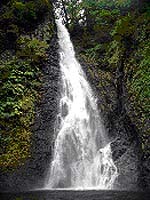 The name of the falls comes from its appearance, a standing black bear (kuro-kuma). Some say the falls may appear as a white-robed Buddhist goddess of mercy. Mt. Shirakami (1,232 m), the highest in the Shirakami area, commands a magnificent view?Mt. Iwaki in the northeast, main parts of the Shirakami Mountains in the east southeast and a Japan-Sea coastline, Noshiro City in Akita Prefecture and Oga Peninsula in the south. Many climbers are attracted to Mt. Shirakami. A mountain cottage on the summit can accommodate 20 people. The Ju’niko Lake was formed after a river was blocked as a result of an earthquake in 1704. The name Ju’niko (meaning “12 lakes”) comes from the fact that twelve lakes can be seen from the top of a mountain. There are actually 33 lakes and ponds scattering over a large area of beech forests. Among them is “Ao-ike” Pond. With its ink-blue beauty and clarity, it attracts visitors all year round. O’kuzure and Japan Canyon (named after Grand Canyon in the U.S.) are landslide debris. 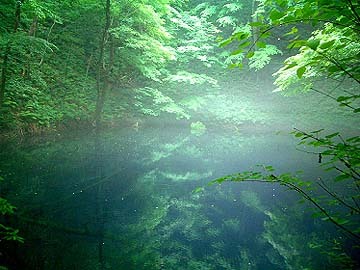 Another pond called “Wakitsubo” is designated as one of the best water in Aomori Prefecture. 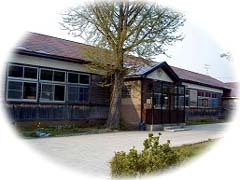 The Shirakami Nature School at Hitsumori is housed in an old elementary school building. This is a 19th century wooden building. After the school was closed in March 2003, the Shirakami Nature School took over as the site of our on-site nature experience. The school provides classroom activities, open-air classes and other kinds of environmental education. Classes are available for people of all ages. Available at the school is an original product called “Shirakami-Manju,” steamed bun with bean-jam filling. 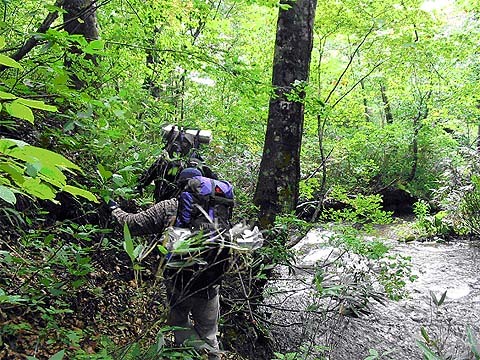 To reach the Shirakami Nature School, start at Ajigasawa Town and pass the Kurokuma Falls, the Akaishi River and the Shirakami-Line road. At a fork, take a path for Nishimeya Village, and you’ll see Tsugaruzawa forest road on your right. The Shirakami Nature School is five minutes from there. The School is surrounded by cedar forests and grapevines. You’ll notice a sign board near the school pointing to “Tsugaru-Mori Viewing Spot.” A 20 minute’ walk will take you to a spot which commands a wonderful view of Shirakami Mountains. A tree-planting ceremony is conducted every June here. Hundreds of people come from all over the country to plant beech trees. In cooperation with the Ajigasawa Town Office, we organized a tree-planting festival called “Shirakami Beech Planting Festa in Akaishi River” in June 2002. The chairman of the executive committee was the mayor of the town. The purpose of the festival was to restore the beech forests and preserve the beauty of the Akaishi River. Even before this tree-planting festival, we organized a number of small-scale planting activities. We were able to obtain permission from the forest administration department to conduct a tree-planting event within the national forest. Also, we set up an office at Hitotsumori in the town of Ajigasawa so that we would be able to ask for local support for our forest restoration efforts. Copyright (C) -2016 白神自然学校一ツ森校 All Rights Reserved.